In honor of Mother’s Day, I’d like to pay tribute to 3 awesome moms in fiction. Especially in YA fiction, moms with really deep connections to the heart of the story seem to be everywhere. We frequently run across loving, intelligent mom characters (although sometimes they are not – that’s a different blog post), but what makes them integral to the story? In Madeleine L’Engle’s A Wrinkle in Time, Meg’s mom Mrs. Murry is brilliant and understanding and cooks dinner on her Bunsen burner. Although Mrs. Murry is not a main character by any stretch of the imagination, her presence in the story is a constant reminder to the characters, while lost on their journey, that they have something to come home to, something to strive for. The mother character plays a key role in thematically representing home. In the Harry Potter series, JK Rowling masterfully uses Harry’s mother Lily to evoke certain emotions in him. We know very early on (so I don’t consider this a spoiler) that Lily died to protect Harry. As we get further into the series, we learn more bits and pieces about Harry’s mother as Harry learns them. Lily gradually becomes a more well-rounded character, and she comes to strongly represent love, something Professor Dumbledore is always bringing to Harry’s (reluctant) attention. Lily’s love for Harry becomes the key that helps him to unlock a variety of things that I won’t get into because they would involve spoilers. I would like to note that this is, of course, much clearer in the books than in the movies. In Cassandra Clare’s The Mortal Instruments: City of Bones (soon to be a super fun movie! ), main character Clary finds out in short order that her mom, Jocelyn, was keeping some intense secrets – and that she was keeping some of those secrets to protect Clary from a seriously unpleasant fate. Though Jocelyn has quite a bit more going on, story-wise, than the moms mentioned above, she wants to protect Clary above all else. Even as a secondary character, her relationship with Clary helps drive the plot. Her guardedness about her past acts as a foil to Clary’s openness and naiveté about the Shadowhunter world. In addition to this, despite all the secrets, Clary still loves her mother dearly, and her mother still represents home to her in this new existence. To sum up, what makes these awesome moms integral to their respective stories? These moms help create some fantastic thematic depth to each of these stories. Now, done poorly, mommy characters can be flat as Kansas, but done well, mother characters help their kiddos to shine as main characters. What are some other well-written mom characters you’ve come across? How did they affect their kids story-wise? Posted in Craft and tagged A Wrinkle in Time, Cassandra Clare, character, character motives, City of Bones, Harry Potter, JK Rowling, love, Madeleine L'Engle, Moms, The Mortal Instruments, theme, ya. Bookmark the permalink. It’s really interesting about how influential all of these mothers are despite barely appearing, both in a real-life and in a literary sense. I suppose art reflects life. The strong influence of mothers (good and bad) pops up all over YA fiction. Even in Hunger Games, when Katniss is incredibly angry at her mother for falling into a depression, that spurs Katniss to learn more about hunting to be able to feed her family, and Katniss’s ability to hunt becomes one of the main reasons she has a fighting chance later in the novel. I can’t think about Lily Potter without crying. Fantastic character, especially for one who’s dead at the beginning of the series and who the protagonist hardly remembers! Jace’s naked torso does nothing for you? Lily Potter makes me cry, too — especially that bit in the Forbidden Forest in Book 7 (I won’t go into spoilery detail here). What an introspective observation. Because of the genre, parents are often background characters – but you’re right, they play an important role in adding depth to the MCs. I will pay more attention to this in the future! I hear so many great reviews of City of Bones. I tried to read it once a few years ago, and I thought it reeked of Harry Potter fan fic. Maybe I didn’t give it enough of a chance. City of Bones is definitely one of the most immature YA books that I’ve actually finished (there were a few YA books, like Cinder, that were so ridiculously immature I couldn’t keep reading). Whenever the main characters use the word “dated” as a verb, I cringe a little on the inside — because really, who uses that word that way besides giggly 12-year-olds? However, the first 3 books in the Mortal Instruments series are very tightly plotted (I haven’t read books 4 & 5 yet). To me, a book being tightly plotted is one of the most important things in fiction. This is something that JK Rowling is a master of. 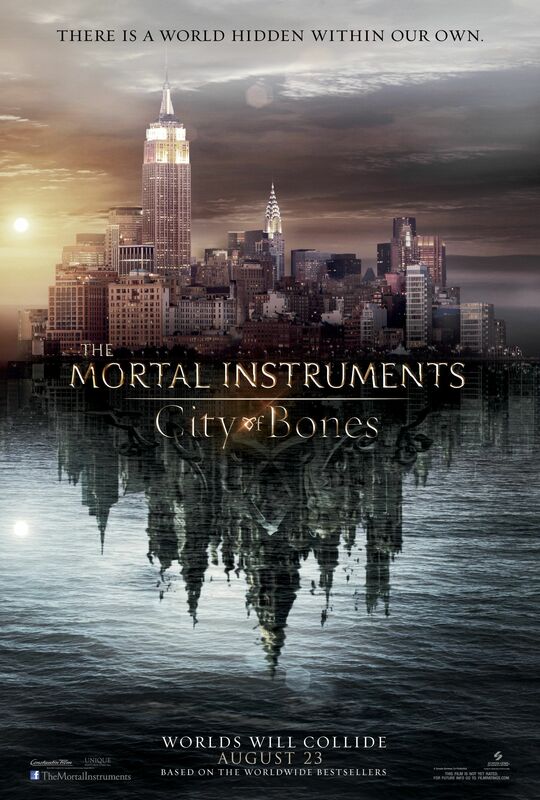 City of Bones might be worth a second look. Try to read a little farther in and see if it holds your interest. Meg’s mom is one of my favorites. My new favorite is Miss Lana, the surrogate mom of Mo LoBeau in THREE TIMES LUCKY by Sheila Turnage. She’s eccentric and wonderful. Turnage shows that you can include a strong parent without taking away the power from the child protagonist. I always liked the mother in Laura Ingalls Wilder’s books. It would be interesting to go back and read them now that I’m an adult and a mother myself. My parents read those Laura Ingalls Wilder books to my brother and me when we were kids; I might have to take a second look at them, too. It’s always interesting to go back and read books you read years ago to see how they feel all these years later. Thanks for the great post Christi! You’re right; the role of Lily, Harry’s mom, doesn’t come through as you describe in the movies (I haven’t read the books). It’s an interesting question you pose about mom’s in YA fiction, as adults often feature very little in YA novels. I love the examples you came up with! If you’re writing YA fiction, I would strongly urge you to read the Harry Potter books. It’s not just fans that hold JK Rowling on a pedestal; professionals in the publishing industry love her writing to the point where professional writing books and blogs often don’t mention her because they feel it’s cliche to use her as the example since her writing is so close to exactly what YA should be. Nathan Bransford has made mention of this several times on his blog, and Mary Kole mentioned this in her book Writing Irresistible Kidlit. Disclaimer: The Harry Potter books are my favorite books of all time, so I’m a little biased. 🙂 I’ve read all of the tomes at least four times each. I’m tempted to go back and read all seven straight through with an eye on the writing technique this time. Thanks for this Christi. I’ll give them a read!